Indore may be a mysterious entity for many Western travelers, but not for long. The capital of Madhya Pradesh, Indore is also the state’s largest city, with a population of more than a million residents. 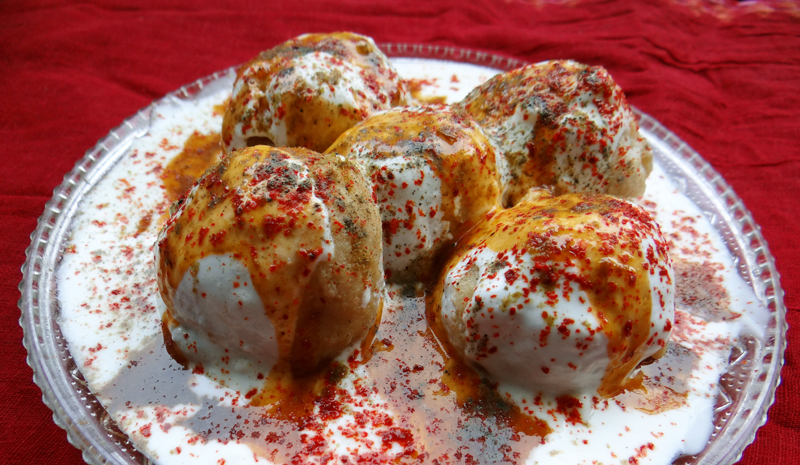 In addition to its buzz, Indore offers travelers ample natural beauty, a range of beautiful landmarks left behind by the region’s Holkar dynasty, and a reputation for delicious cooking. 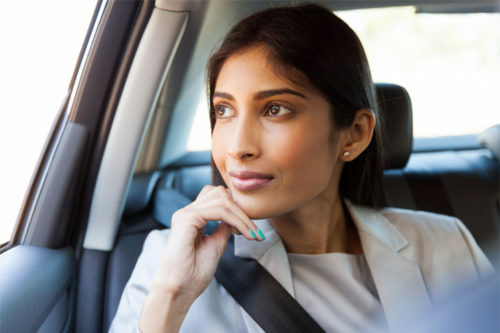 We’ve put together an essential list of 10 things to do in Indore and beyond to bookmark for your next adventure. 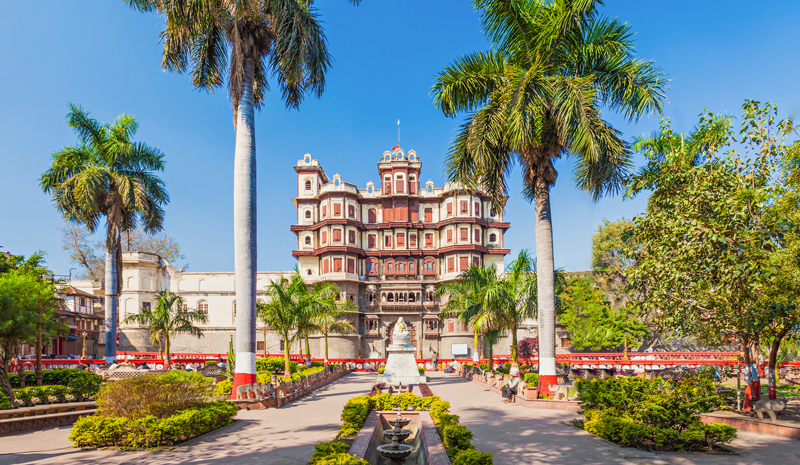 One of Indore’s most recognizable landmarks, the Rajwada Palace is a legacy of the region’s Holkar dynasty, who ruled over Indore for centuries. 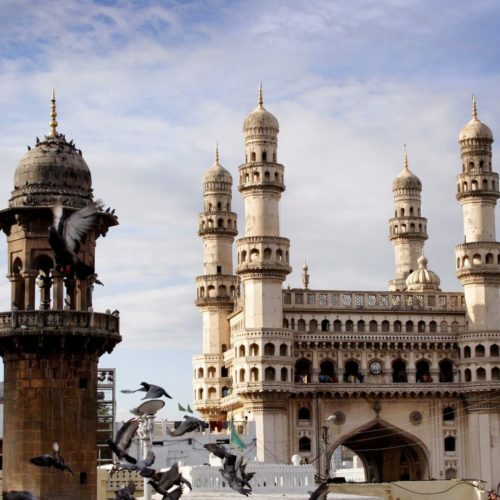 The seven-story palace was built more than two centuries ago, and is famous for its ornate, carved edifice. Another souvenir left behind by the Holkars, the Lal Baag Palace is far and away one of the top things to do in Indore. Some of the best views can be admired from within; the building’s lavish interiors include ceiling frescoes, chandeliers, and gilded crown molding. 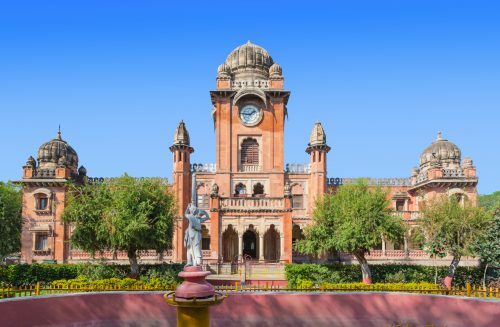 Move the Central Museum to the top of your list of things to do in Indore: the institution provides a perfectly in-depth introduction to the region. 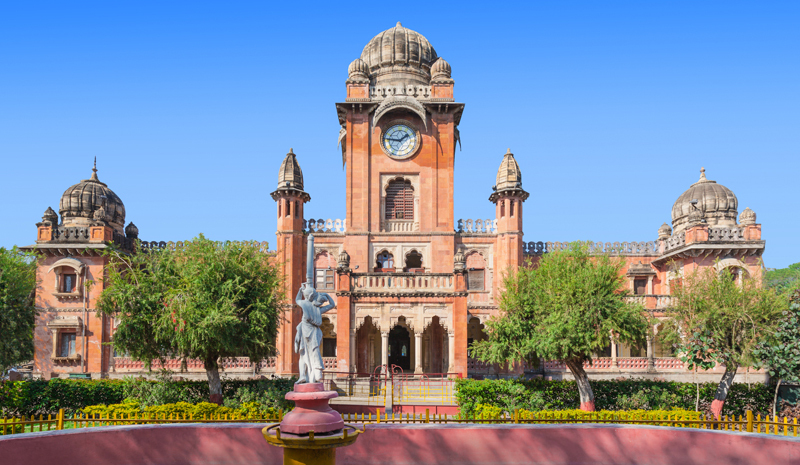 As you learn about Indore’s past, admire the museum’s collection of artworks, medieval weaponry, and other fascinating relics. Dating to 1904, Gandhi Hall is one of the most distinctive landmarks in town, thanks to its red-brick, Indo-Gothic façade. Formerly known as King Edward Hall, it was renamed for Mahatma Gandhi in 1948. Today, the venue hosts a range of cultural events. Indore is known for its collection of Jain temples, and the Kanch Mandir — whose name literally translates to “Temple of Glass” — is among the most beautiful. It earned its moniker thanks to its ornately decorated interior, which is covered with wall-to-wall mirrors and glass mosaics. Though it’s a lively destination is in own right, Indore is also the gateway to many of Madhya Pradesh’s top tourist destinations. 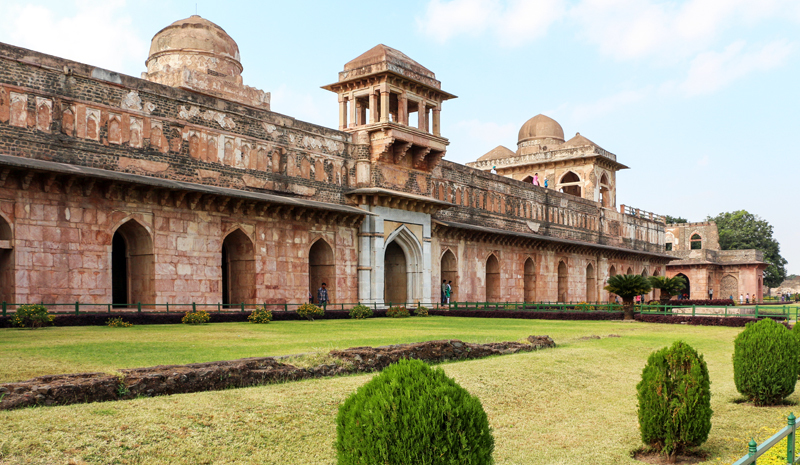 One to see in Mandu: a ruined city dating to the sixth century, the complex is full of spectacular sites, including the Jahaz Mahal and Jami Masjid. 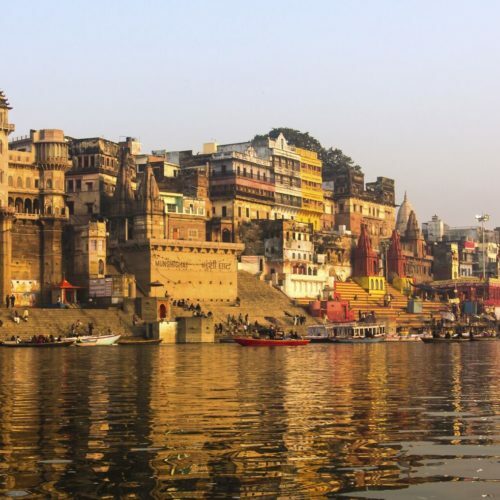 Follow Hindu devotees to Omkareshwar, an impressive temple located on an island in the Narmada River. One of 12 special Jyotirlinga shrines across India that are devoted to Lord Shiva, it’s a sacred and tremendously popular landmark. 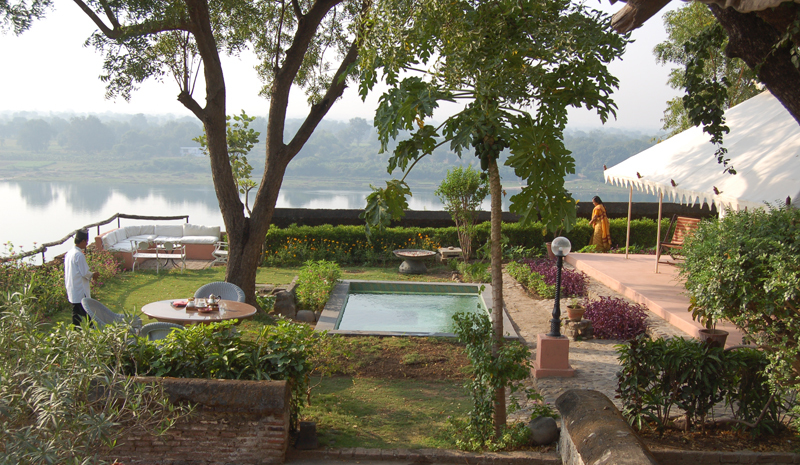 Both a historic landmark and a destination hotel, Ahilya Fort is located south of Indore in Maheshwar, directly overlooking the sacred Narmada River. 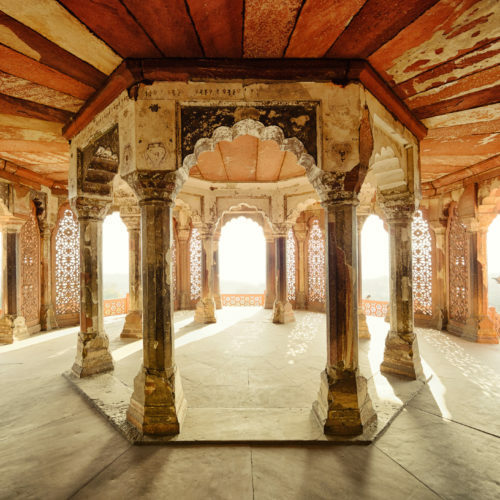 In 2000, the local prince converted the splendid landmark into a luxury retreat; these days, guests can go for a dip in private plunge pools, linger in the hotel’s gardens, and dine like Maharajas. Located just south of Indore, Patalpani Waterfall is one of the region’s natural highlights. Travelers flock here to take in the gorgeous 100-meter falls, as well as the verdant hiking trails and picnicking spots. Stop here for a breath of fresh air in the rainy season, when the falls are at their most spectacular.